Music scene in Delhi is very rocking. Delhi quenches the thirst for good music of all kinds of music lovers. 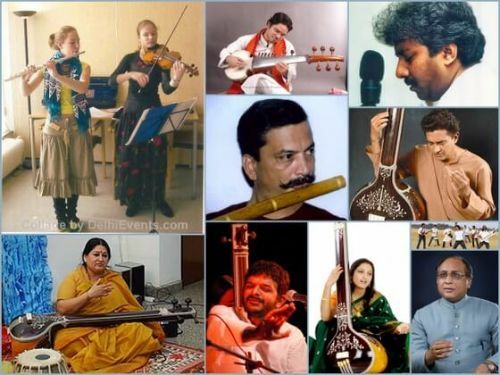 The music offered in Delhi includes Indipop, Indian Classical Music, Internationally Renowned DJs enthralling you with their music, Western Classical, Rock Festivals, Concerts, Qawwalis, Ghazals, Punjabi Music, Jazz Festivals, Sufi, Bhajans & much more. You will see all music genres listed in this section. A sound proof place for rock bands where they can rehearse. It's also open for sound recordings, music classes etc. SoundSpeaks aims to provide a platform to budding musicians across the country. A place for rock bands where they can rehearse and it's used by many Delhi Bands.